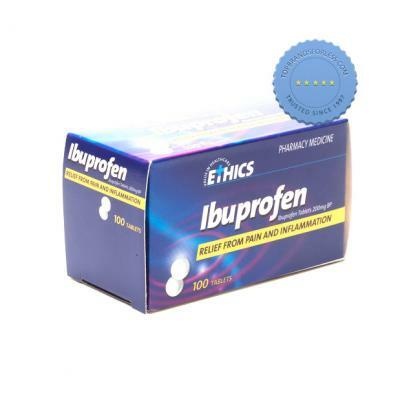 Help relieve headaches, migraine, toothache, muscular pain and cold & flu symptoms by taking I Profen Tablets. They assist in lowering temperature, relieving pain and reducing inflammation. It contains Ibuprofen 200mg BP. Adults and children over 12 years. Initial dose, 2 tablets with water. Then take 1-2 tablets every 4 hours. Do not exceed 6 I-Profen Ibuprofen Tablets daily. I-Profen Ibuprofen is not a suitable medication for children under 12 years of age unless advised by your child's doctor. Make sure to read the label prior to use. Use only as directed. Do not exceed recommended dosage. Store in a cool dry place, away from direct sunlight and moisture. Keep out of reach and sight of children. Check the ingredients to determine if you are sensitive to any of the contents. Do not use beyond expiry date. Discontinue use if rashes, redness, itchiness or irritation is experienced. Ethics Paracetamol 500mg 100s provides immediate effective relief from muscular pain, menstrual pain, headaches, dental pain, fever and symptoms of colds and flu without irritating the stomach.